Fairy Tail 263 see’s the activation of Face aswell as the destruction of the great number of Face statues disabling them one by one. On top of which, they’re done by the help of dragons who have appeared such as Metallicana and Grandine. 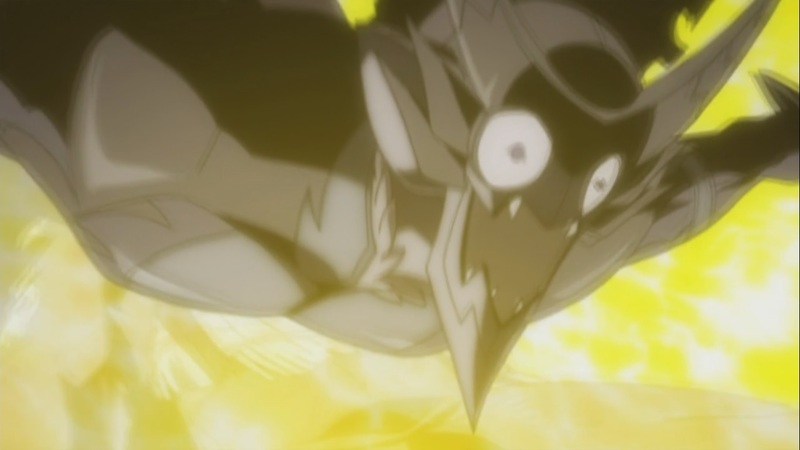 Gray defends off Mard’s Memento Mori using his own Demonic Power which has overcome half of his body. 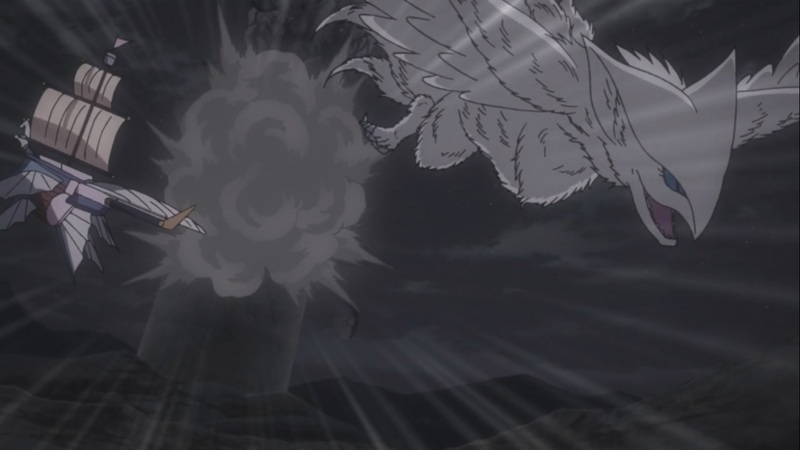 Fairy Tail 263 see’s Gray defending himself and Natsu as he uses his Demon power against Memento Mori, on top of which it covers half of his body with a dark demon like affect. 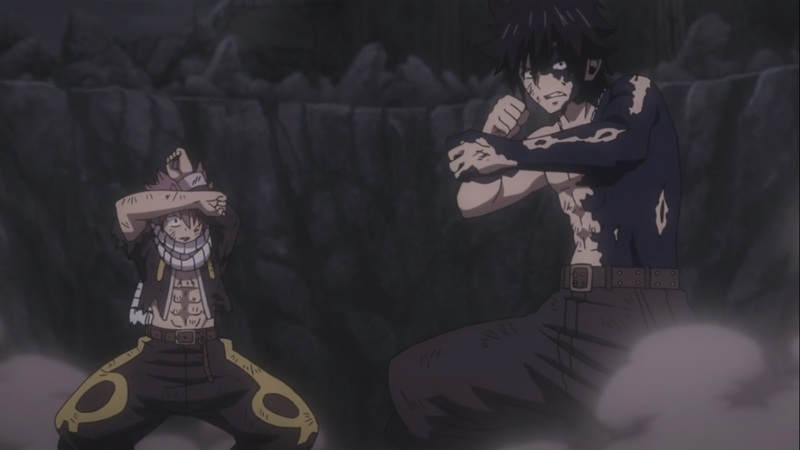 Mard is shocked to see this, Gray mentions that he believes in Natsu after all of this as he collapses. Ichiya along with his guild are in their ship trying to figure out whats going on and how to defeat against Face. Many other members such as Kagura, Lyon, and other members from other guilds are helping out trying to defeat and destroy Face weapon. But nothing works as no one is able to destroy them. 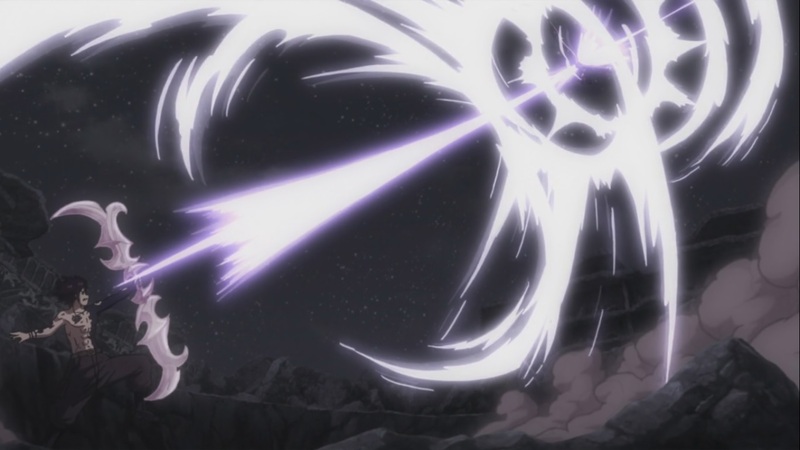 Natsu goes crazy as he begins to use his Dragon Force against Mard, Natsu punches and chases and using his Crimson Lotus Phoenix Blade, he punches Mard Geer back to much that he’s also hurt, however Natsu’s power runs out. 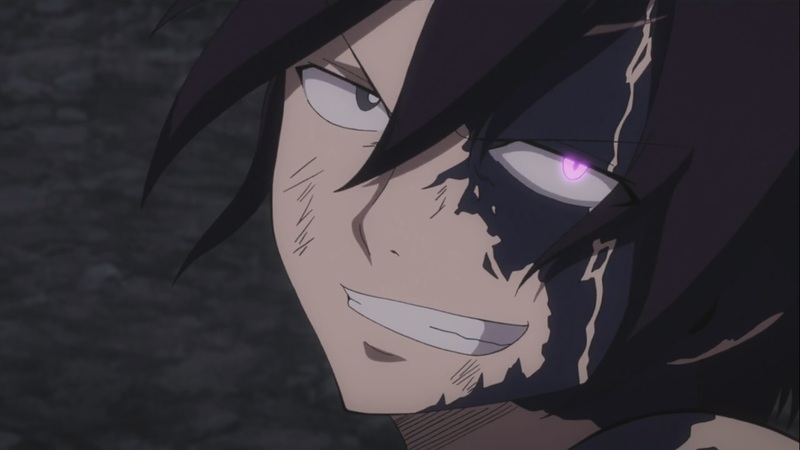 He hold onto Natsu, but Gray gets back and uses his own power, Ice Demon Zero’s Destruction Bow to pierce through Mard. 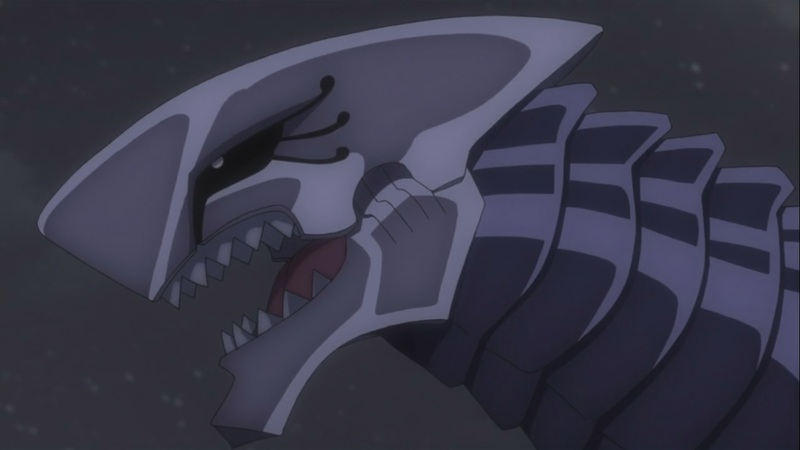 All while Kyoka and Erza go at it, she dies but the Face countdown gets to zero. Face activates as all of the weapons in their continent begins to glow. Mard is hurt really badly as both fall to the ground after such an attack. 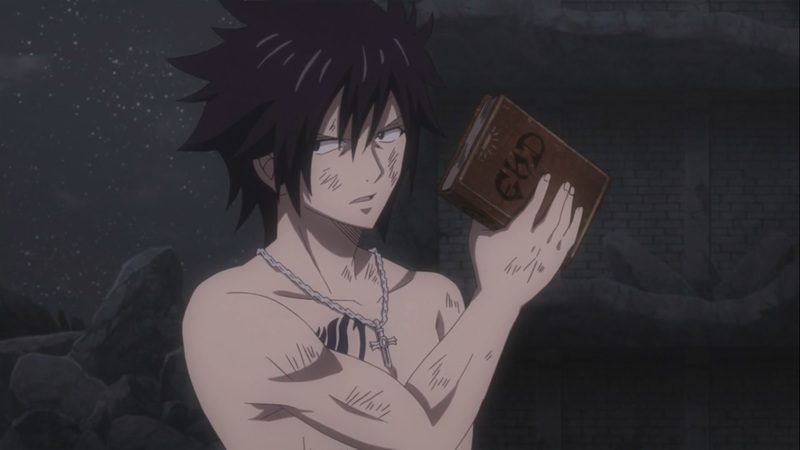 Gray grabs onto END book as he mentions that he shall destroy it now, all while Natsu tells him that he shall leave it for Igneel to sort out. Face activates as the floor vibrates. Makarov mentions that it’s too late, it seems that everyone is running out of power and unable to do anything. They don’t have enough power as magic begins to quickly disappear. Everything everywhere begins to go wrong. Ichiya’s ship fires at Face but doesn’t work. Mard begins to speak of the come back of END. 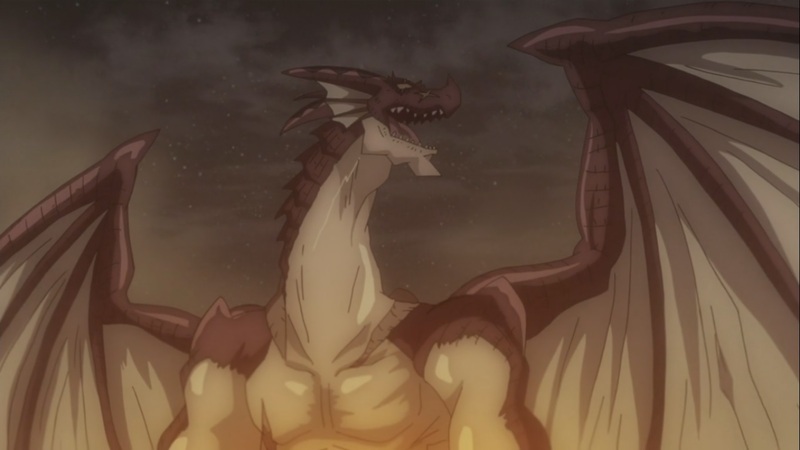 Acnologia falls down from the sky when Igneel also shows up above him. Ichiya notices something pass him. Grandine shows up, it destroys one of the Face weapons, Metallicana also shows up. Sting and Rogue’s dragon’s also show up. Everyone is happy to see them back. Fairy Tail 263 ends here. A pretty good episode, it seems that Igneel wasn’t alone, on top of which it seems that along with Igneel, the others may fight against Acnologia? 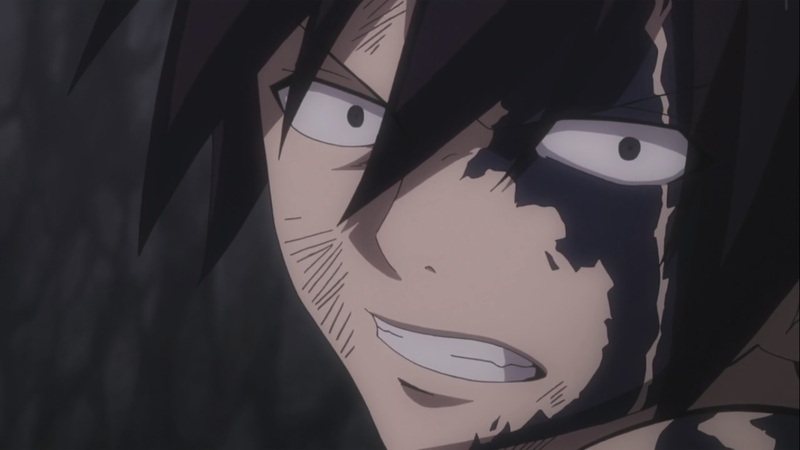 We’ll have to wait and see what happens in next week’s Fairy Tail 264, titled “Drop of Flames” when Zeref shows and a lot of stuff happens to Igneel.